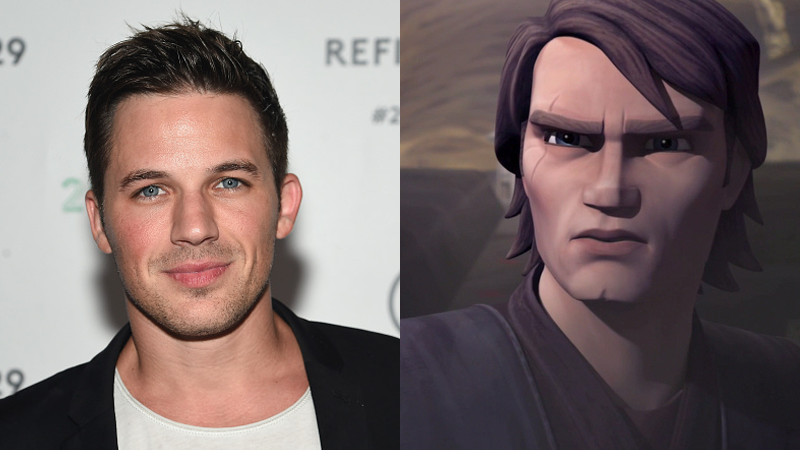 There was a lot of things to love about Clone Wars, but Matt Lanter’s portrayal of Anakin Skywalker—which turned the character into a relatable, tragic hero rather than the petulant sand-hater of the prequels—was near the top. So good news! Lanter will now headline NBC’s delightful-sounding time-travel cop show. It’s called Time. Honestly, when it comes to time travel, simplicity in the name is probably best. Lanter has joined the rather obviously named Time alongside Abigail Spencer (Cowboys & Aliens) in the two lead roles for series, which will be produced by Eric Kripke (Supernatural) and Shawn Ryan (The Shield). Although no details about their characters have been released, Lanter and Spencer will play two of the three time-travelers that sit at the core of the show, who are chasing a criminal mastermind with plans to alter the course of human history through time and space. Think Doctor Who crossed with a buddy cop show, or, as Deadline describes it, “Back to the Future meets Mission Impossible.” You can see why we’re excited for this, can’t you? No doubt we’ll be hearing more from Time soon, considering that between this, In Time, Legends of Tomorrow, Outlander and so much more, 2016 really does feel like the year of timey-wimey TV.